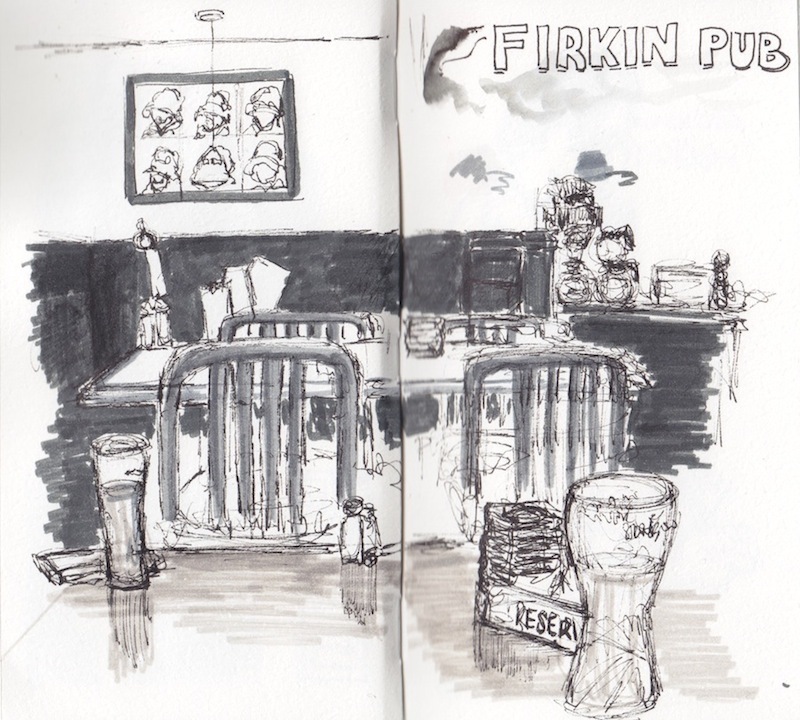 Yesterday, I had the pleasure of meeting some fellow sketchers in Toronto for our first meeting/ group sketching at a local pub. It was a great opportunity to get to know one another and share ideas on where we could take the Toronto chapter of Urban Sketchers and learn from one another. We also enjoyed checking each other's sketchbook. For my sketch, I focused mostly on drawing the booth in front of our table while it was empty. The pub had some interesting design features and artworks, like the collage of bear illustrations in the back wearing a black hat, next to top hat shaped light fixtures (not shown). It was great to see the portraits that were created by the others sketchers. 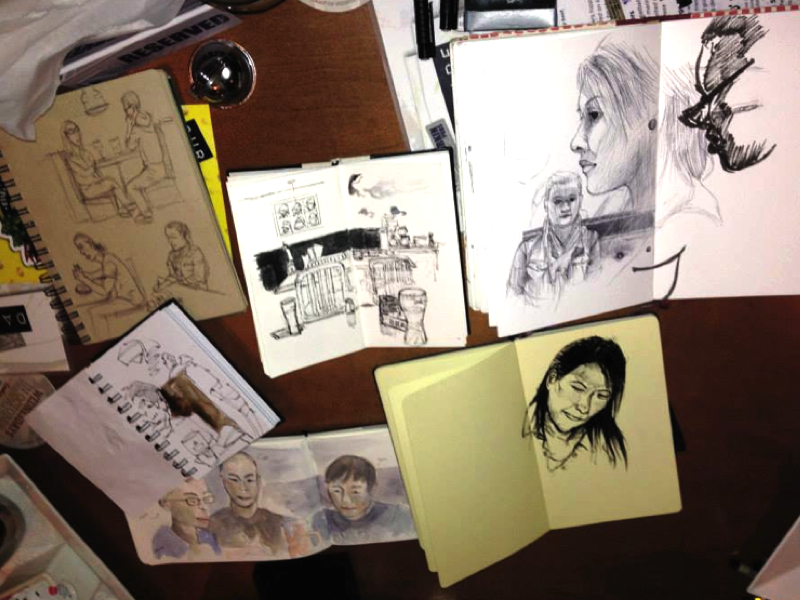 Make sure to check out the Toronto Urban Sketchers Blog to see more sketches of this get together soon. If you're interested in joining the group, you can find us on Facebook under Toronto Urban Sketchers.